You must have encountered these restaurant mistakes. Read on to find more. It's the most important rule in real estate, and in restaurants as well. 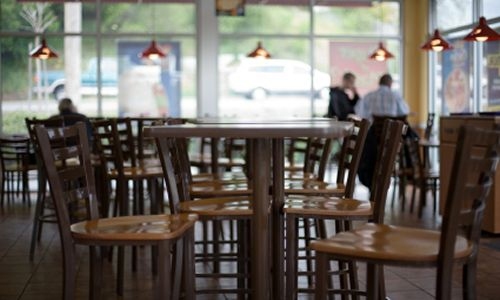 We all would prefer to eat out at a place closer to use, and in an area we feel comfortable in. Some restaurants are located in the middle of nowhere for some reason, or they're by run-down buildings that provide a less-than-desirable atmosphere. The menu is one of the most important ways that a restaurant communicates with the customer. If it is old, greasy, bent, or gross in some way, it will send a negative message. Also, if it's overloaded with hundreds of food options, then it will actually be more confusing and time-consuming than it needs to be. You should always be nice to your waiter, but sometimes you'll get a server who is having a bad day or is just not a nice person. Unfortunately, a waiter who does not care to listen to your order or bring you the right food can ruin your meal. Of course you go out to eat for the food, but the other big part of it is the environment. If you're not comfortable in the restaurant, then you might as well just have made something at home. Restaurants with small booths, tables too close together, or any number of other discomforts ensure that customers won't be back. More common than angry waiters, although thankfully not very common, are waiters who just want to get your order as quickly as possible. They may skip the specials, or read them too quickly to even hear, and don't seem interested in offering advice on favorite dishes. It seems so bizarre for a restaurant in the 21st century to not have an online presence, but there are some that still don't. This is bad for several reasons, including the fact that most people will want to look up a menu or other information about a new restaurant before they go try it out. You'd probably love to try the restaurant pictured, if only you knew what it was! Restaurants need to be constantly thinking up new promotions, coupons, specials, or other ways to get customers in the door. Server responsed at: 04/22/2019 8:57 p.m.